You can manage the Cloud Client Libraries for Java and the App Engine standard libraries for your Eclipse projects. Select the Project in the Package Explorer. 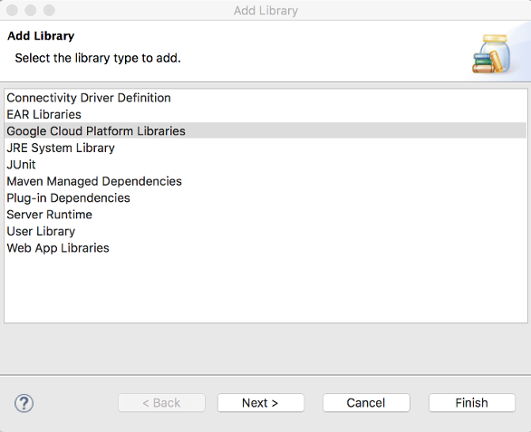 In the Add Library dialog, select Google Cloud Platform Libraries. Select the libraries you want to add to the project, and unselect the libraries you want to remove. The latest versions of the these libraries are added to pom.xml in a Maven project or to a container named Google Cloud Platform Libraries in a native project. 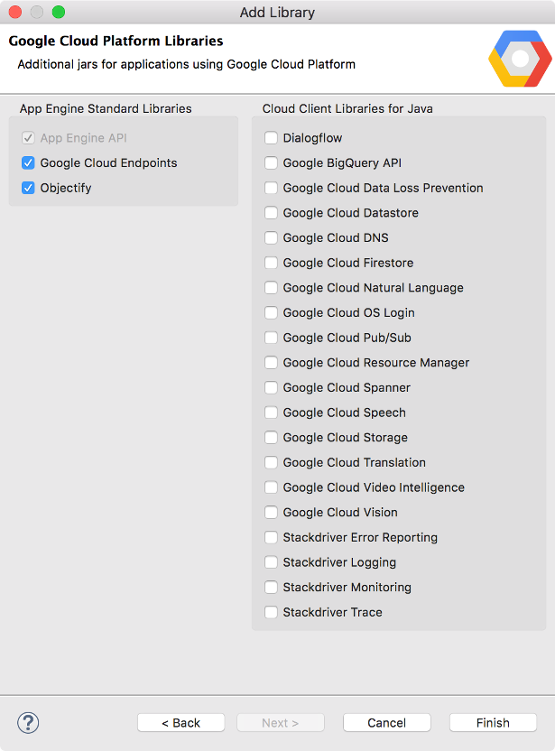 Learn more about the Google Cloud Client Library for Java. Explore the plugin code or report issues on GitHub.